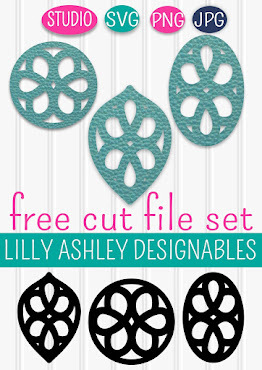 Today I'm sharing a freebie printable similar to some of our newest digital papers in the shop, as well as a tutorial for a project that you could use the printable for!! 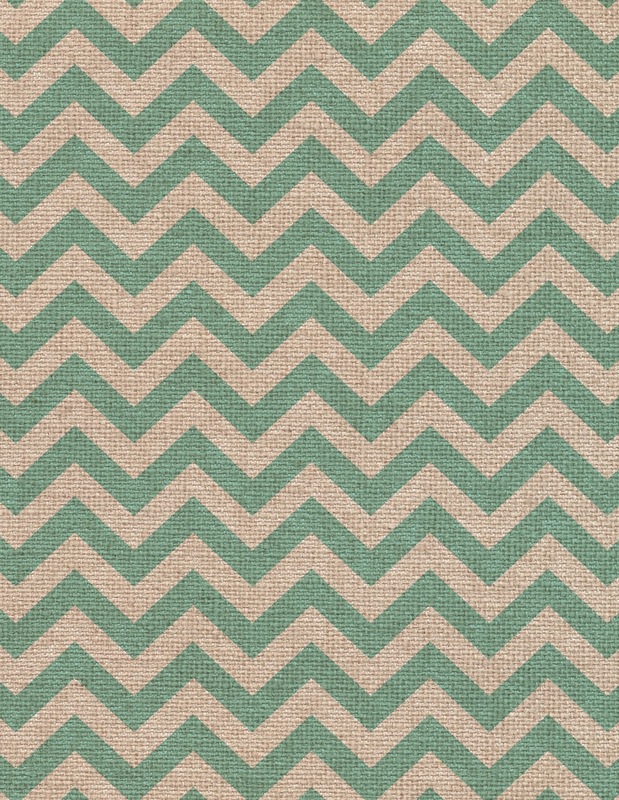 I just love the linen burlap texture, and when you add chevron to it, so cute! To save, click on the image and it will take you to box.com where you can download it! Look for a "save" button near the top right of the screen. You may already be familiar with PicMonkey, but if not...get familiar with it! It's an awesome website that acts just like a fancy design program, except that it's free! No downloading of programs necessary, no registration required, it's great! Just upload your image onto the website! You'll find an "edit" button near the top of the website (see blue arrow in pic above). That's where you'll choose your image to upload and edit. Once you choose your image, it will open up into the website. Next step is to crop the image to 8x10, so it will make an excellent printable to put in an 8x10 frame for some friends getting married soon!! You'll find your navigating menu all the way to the left of the screen, those little icon pictures. The top left icon is the crop function. Click on that, then you'll see a drop-down menu where you can choose 8x10. 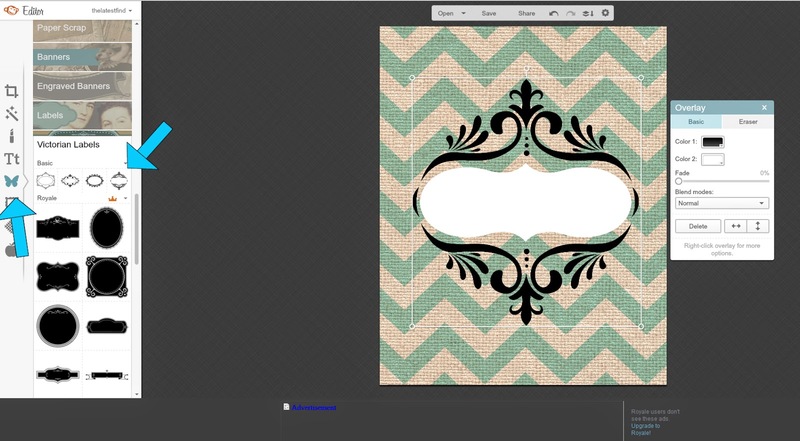 That will create an 8x10 window over top of your image that you loaded in. 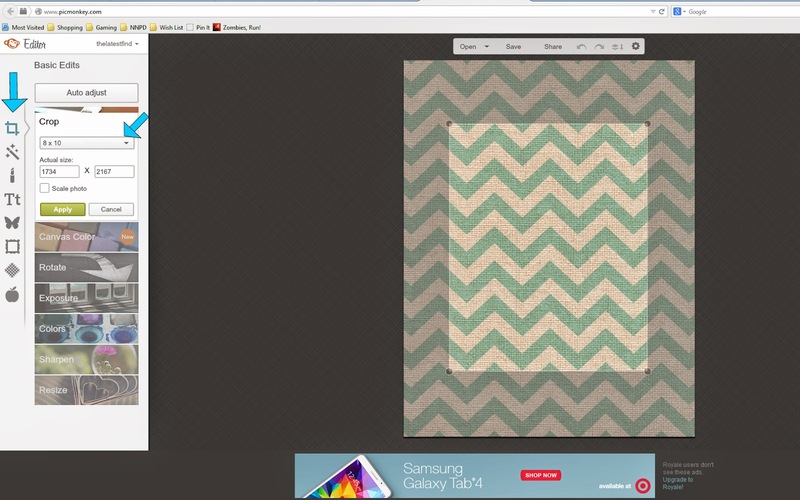 Center it within the pattern, then hit the green "apply" button. You now have an 8x10 printable ready to decorate. From your navigation menu of icons all the way to the left, the next one you'll choose is the butterfly icon, which brings up a menu of overlays. I re-sized the label bigger to fill up the majority of the center. I also took out the white part in the center of the label. See the little white box to the right of the printable? That shows the two colors that the label is currently, and you can change those by clicking on the color boxes. I clicked on the white box, then checked "transparent". You'll find a text icon all the way to the left in that navigation menu. Looks like a big T and a little t.
I scrolled all the way down to the font called "Playfair Display" and clicked that. Then click "add text" at the top of that list. That will bring up a text box you can type in. You can center it and make it bigger or smaller. 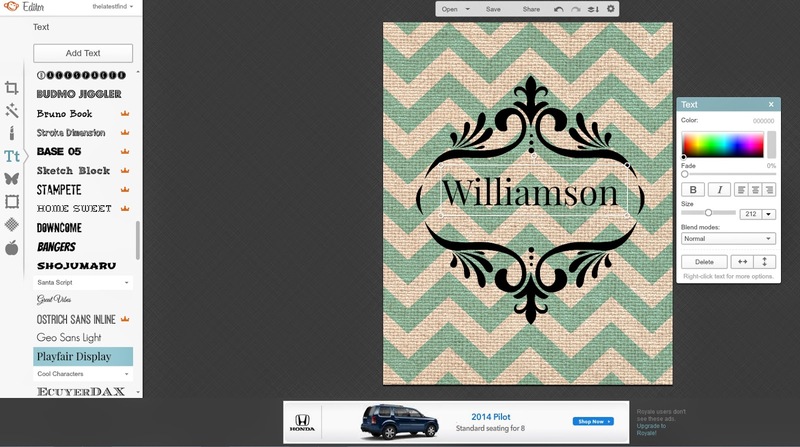 I typed out the word Williamson. Then I clicked on "add text" again, to add another line where I typed "Est. 2014" and made that slightly smaller than the first word, and centered it. You'll find the "save" button above your image! I always save it in "Sean" best quality. Don't want to lose that resolution! 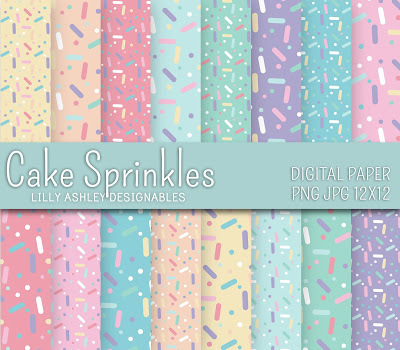 These could also be cropped and used as printable/party invitation/business card backgrounds etc. etc.! 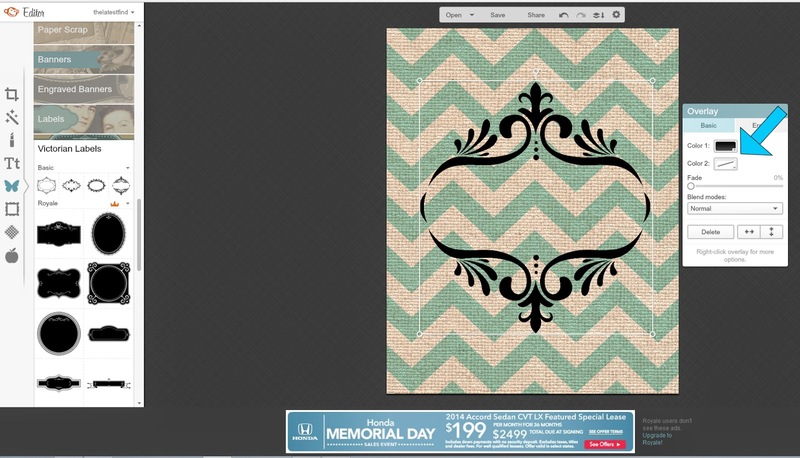 The 12x12 images allow plenty of space for cropping out any size section you need for your project! You can use the same website (PicMonkey) to type on these and save to your computer! Just be sure to check the listings to see what size you're purchasing, the size is always found in the title of the item. 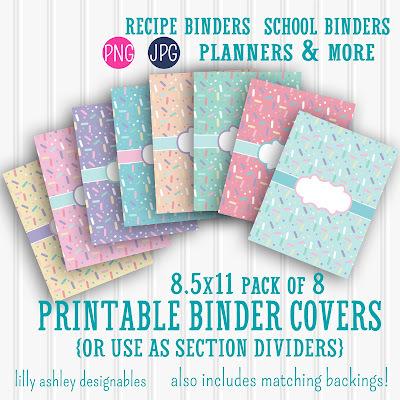 All of our packs give you access to the images as soon as payment is confirmed via your Etsy downloads page. Get started on your projects right away. 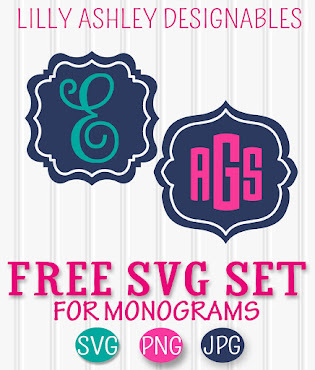 Hope you enjoyed this tutorial, stay tuned for more freebie downloads and tutorials!! 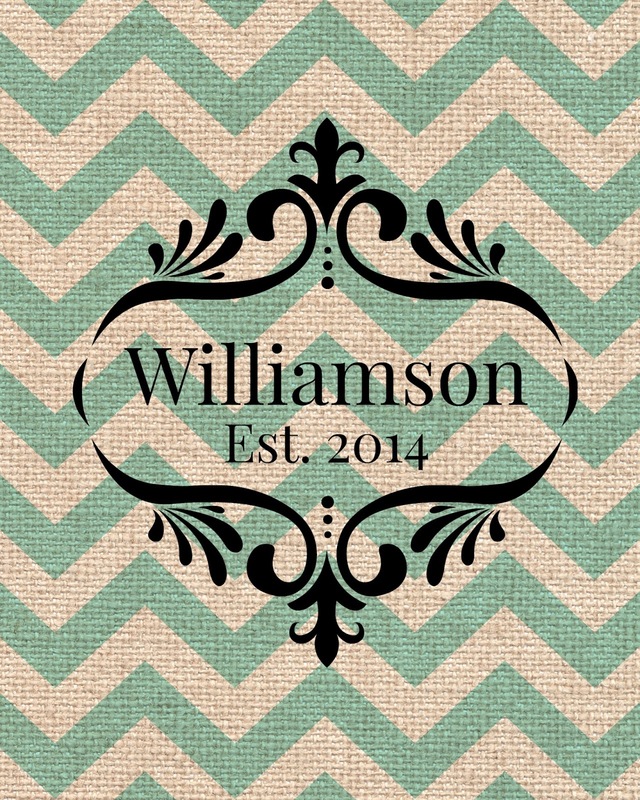 Check out our Etsy shop full of chevron, polka dots, moroccan quatrefoil, and more by clicking HERE! Banyak orang berpikir dan selalu beranggapan bahwa mengenal lebih banyak orang akan memberikan peluang untuk membuka jaringan yang lebih luas. Namun terkadang lupa mengenali diri sendiri sehingga potensi maupun kelemahan tidak teridentifikasi dengan baik. Akhirnya apa yang menjadi kekuatan sulit di maksimalkan dan terkesan tertutupi.Kali ini saya akan share tentang cara mengenal diri sendiri agar Anda jadi lebih mudah melakukan identifikasi kelebihan Anda, sehingga potensi semakin tereksplorasi secara maksimal. الان لفتره محدودة استمتع بكافة الخدمات المتميزه في توكيلصيانة ويرلبول التي تتم علي ينخبة كبري من المهندسين المتخصصين في جميع الماركات . شركة المنزل هى شركة تنظيف بالرياض لدينا جميع خدمات التنظيف بالرياض ولدينا العمالة المدربة على جميع خدمات التنظيف نحن نقوم بتنظيف الشقق والمنازل والفلل والقصور بالرياض بأستخدام اجود انواع المنظفات المستوردة التى تقوم بتنظيف الارضيات والنوافذ والمطابخ والابواب والاوانى والمسابح والحمامات والمفروشات والكنب والسجاد والموكيت كما اننا نقوم بتنظيف الستائر بأرخص الاسعار وباستخدام اجود المنظفات المستوردة وبأرخص الاسعار . خدمة مميزة في العديد من الأقسام المختلفة ستحصلون عليها من خلال افضل شركة تنظيف منازل بالمدينة المنورة و بجميع أنحاء المملكة يمكنكم الآن الحصول من خلالها علي أفضل تنظيف منازل بالمدينة المنورة حيث يحقق لكم مستوي متميز. أفضل تصميم مواقع سارعوا الآن بالحصول عليها من خلال أفضل شركة تصميم مواقع الكترونية و هي شركة سوقني المتخصصة . خصومات مركز صيانة فريجيدير تقدمها لكم بجميع أنحاء المحافظات حيث يملك العديد من الفروع المتميزة كما يمكنكم الآن زيارة أقرب فرع لمركز صيانة جليم جاز لصيانة الأجهزة لديكم علي أحدث تقنيات . أفضل شركة عزل خزانات بمكة هي شركة العنود التي توفر لكم جميع الخدمات المتميزة التي تقدمها بجميع انحاء المملكة من خلال فريق عزل خزانات بمكة متخصص . تمتعوا بأوفر خدمات نقل عفش الطائف التي تقدمها لكم شركة الإخلاص و الآمانة التي تقوم بها شركتنا المتميزة و التي تضم نخبة متخصصة من خبراء متخصصين في النقل يقوموا بكافة الأعمال علي مستوي عالي . صيانة معتمدة في صيانة الاجهزة المنزلية علي اعلي مستوي من التقدم استمتع بكافة الاعمال المتطورة والحديثة في اعمال الصيانة صيانة جليم جاز علي اعلي مستوي في صيانة كافة الاجهزة المنزلية .